The grand old castle, which dates back to the 1300s, is the family seat of Clan Sutherland and was used as a boarding school before being opened to the public. 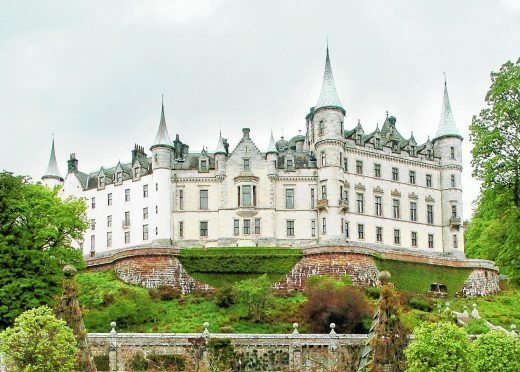 During the Jacobite rising of 1745, Dunrobin was stormed without warning because Clan Sutherland supported the British army. Now, the historic castle, which was owned by Lord Strathnaver, son of the Countess of Sutherland, will house a new ‘single estate’ Scotch whisky distillery after plans were given the go-ahead by Highland Council. The project is the brainchild of husband and wife team Boban Costin and Elizabeth Sutherland, a granddaughter of the former head of Clan Sutherland. Dunrobin Highland distillery will be situated in the ancient castle’s former powerhouse whilst the property’s farm steadings will be turned into warehouses. The new distillery will make a single malt style of whisky as well as two different gins. It is expected to become operational in June 2018. Speaking to ScotchWhisky.com, Costin, a former lawyer, said: “We’re not sure what style of whisky we’ll create yet, but it will be something that my wife and I enjoy drinking. “We want to use all the materials from the estate so it’s going to be very special. Building will start in the next two or three years and then will take a year. Sutherland, who currently works as a GP in Dornoch, added: “Our goals for the distillery are very ambitious but our family motto is Sans Peur, without fear, and we are approaching this project in that manner. “It’s hard to say how the idea came about but it’s all fallen into place. “We’re bringing the old power house back to life which hasn’t been used since the 1920s and was originally built in 1907.